I assume that you also have the 220v compressor, otherwise why would you keep the original plates. Unless you are planning to put in a 24v compressor to drive the old plates, I did not think that was an option. To be honest, I have only used the 220v compressor once since I had the 2 24v systems installed, but its a reassuring backup. My old system (220v and Engine Driven) was switched to R502 a long time ago, and as far as I know is still the same. 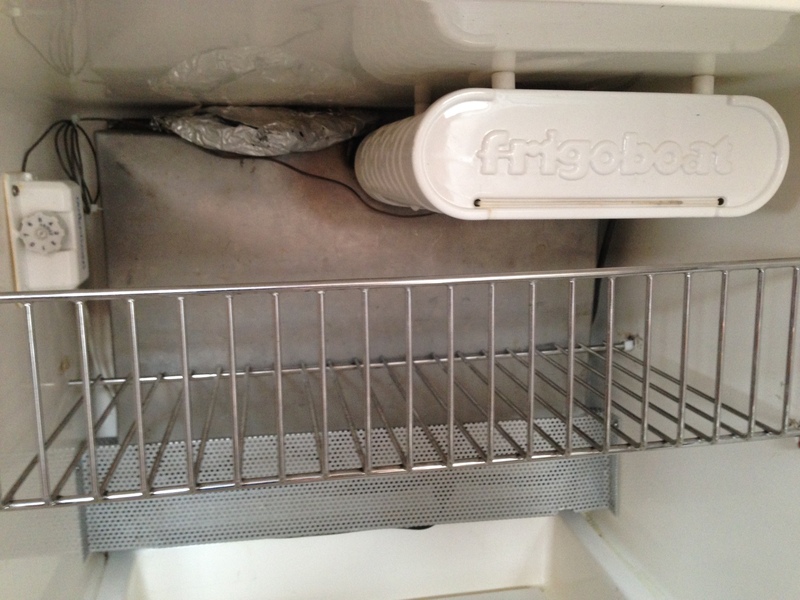 I have enclosed photos of the combined plates in the fridge and freezer. So my original plates are running withR502. You are right the original plates can be used, but I do not have an answer to new refrigerants. Each plate has 2 coils, and by adapting the connection they should work. 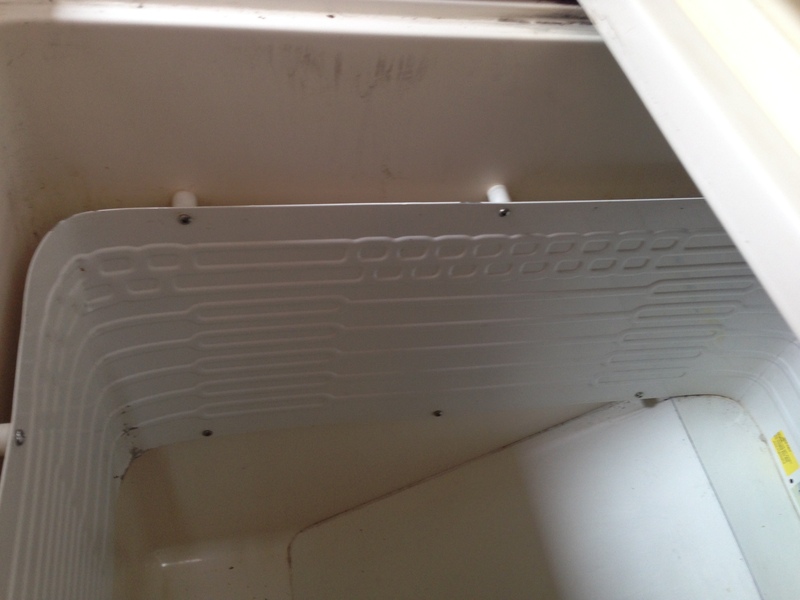 Evidently we left them in place to use with the shore power, but did not go to the expense of modifying the connection to use the old plates as the refrigeration kits came with cooling plates and it was cheaper and quicker to install them. second they keep the content at a constant temperature, whereas the engine driven fridge went to extreme variations, and required the engine to be run at least every 12 hours. Also, I was having constant problems with the engine mounted fluid pipes, due to vibration. They use very little power, surprisingly. 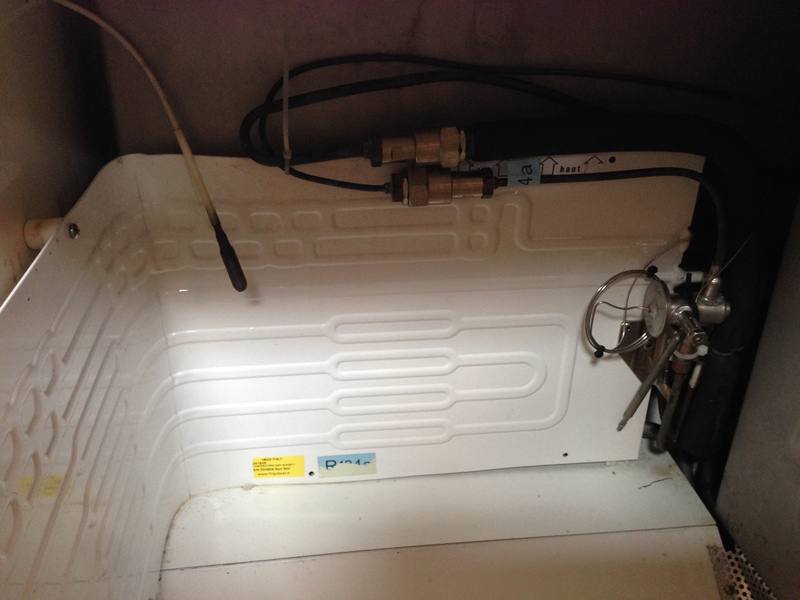 Do you have any experience with replacement of the compressor and condensor of the fridge on board ? After 20 years of excellent service, I see the compressor started leaking oil and it might be better to replace the installation especially as the actual condensor is still operating with R 22 which will be difficult to obtain in the future. I have a quotation from the yard for a Frigomar replacement of around 5400€ not including installation and find this quite expensive. What is your experience ?